The government sends street children to Hebron. 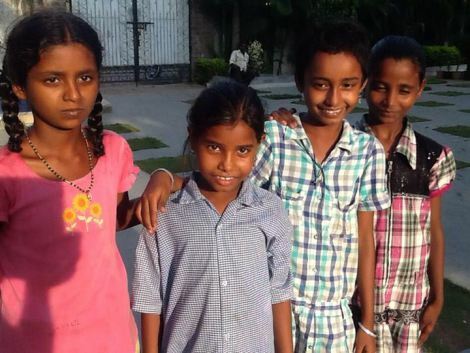 These four rescued girls were sent to Hebron; they were forced into begging by parents. 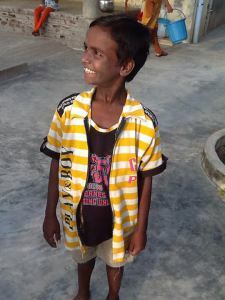 Sagar welcomed the first abandoned child with dwarfism at Hebron. His parents separated. He always asks Sagar to pray for his parents to be reunited. This is Caleb. His father abandoned the family. His mother died while begging on the streets. Caleb was rescued and brought to Hebron.